Edge up your casual look in the rag & bone™ Pilot Cap. Traditional six-panel design in a variety of softly textured materials that include 75% wool, 24% nylon, 1% elastane. Ear flaps to each side for extra warmth. Offered in a variety of sizes for desired fit. Lining: 63% polyester, 37% polyacrylic. 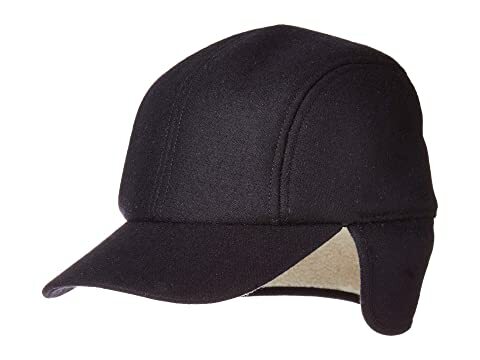 We can't currently find any similar items for the Pilot Cap by rag & bone. Sorry!